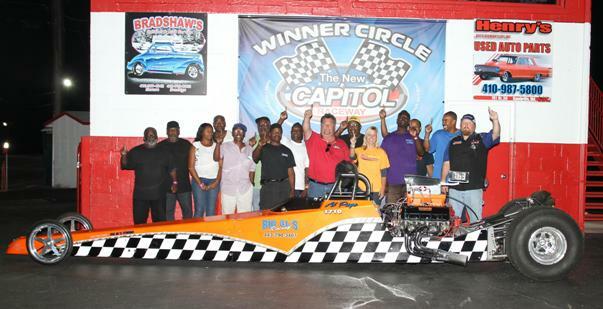 Awesome Weekend for Junior Dragster Driver Kendal “Sauce” Little! Park at Englishtown, NJ plus he won best reaction time during elimination. This was indeed an awesome weekend for Kendal and Team 14!!! We Congratulate Kendal on his outstanding performance. the win light in the final; winning the race on a hole shot with a .003 reaction time. We Congratulate Rodney on his final round victory and Terry on his runner-up win. And we applaud them both for making it an all "Brother" Final. on Saturday, August 24, 2013 in the Motorcycle Eliminator. 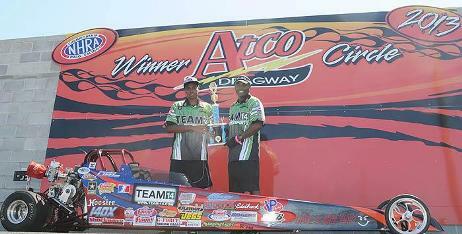 We Congratulate Jawan (winner) and Russell (runner-up) on outstanding race. 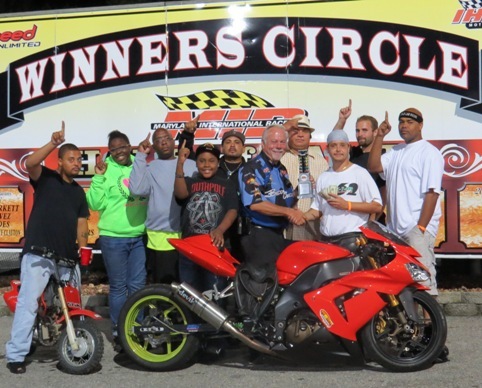 race at Maryland International Raceway on Saturday, August 24, 2013 . We Congratulate Shayne on a great win. on Saturday, August 24, 2013 at the New Capitol Raceway. We Congratulate Al on an outstanding win. Darrell Mahoney does it again. 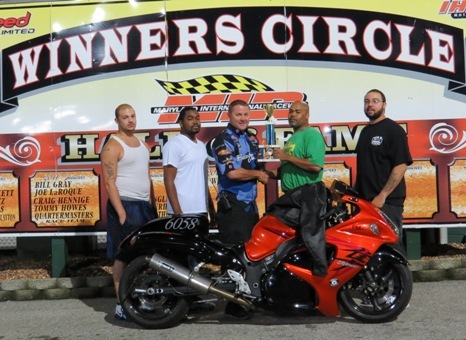 Taking home the win in Motorcycle at Maryland International Raceway on Friday, August 23, 2013. Making this his 4 win in 4 straight weeks. We Congratulate Darrell on an amazing winning streak.